I spent the early part of last week ordering plantation shutters and custom made sliding plantation doors for our house. When I told Mr. P the final tally I just said it really quickly so it didn't sound like one of us was going to have to sell a kidney to pay for it. He totally bought it. Then I went completely nuts and bought a new bed for our guest room because I have big plans for a complete revamp in there over the next couple of months. This extends out to a double but gives us a ton more space when we don't have guests. Genius. Plenty of sewing and crafting this past week. My postage stamp blocks are all done - just waiting to be trimmed and then made into something that resembles a quilt top. I reupholstered two sad looking chairs that now look completely happy. So am I. And I did some more work on my orange peel applique blocks. I am over the halfway mark and sliding down the other side. I even got brave and starting pulling the freezer paper out. Thursday was the day that little old Adelaide was the hottest city on earth, so I stayed inside and taught my niece to be how to make bunting. No pictures because this is for the big wedding that's coming up in November and everything has to stay a secret. Feel free to imagine bunting in lieu of pictures. I'm in cahoots with my niece to be on another secret project for the wedding at the moment too....this must be what it feels like to be a super spy! My greengrocer had a super special on strawberries on Thursday so I bought a few punnets. I made strawberry pie with a strawberry coulis ...and ate about a kilo of strawberries in the process. The plan is to make jam with the rest. the other in my stomach. My Littlest Nephew celebrated his 21st birthday yesterday. Happy Birthday Nephew of Pyjamas! You totally rock! I did a ton of other stuff too....but this post is already stretching the boundaries of length and I'm sure a few of you have probably already fallen asleep. Before I go I want to share some mail I've had over the last few weeks from some very generous and thoughtful people. From Terri - a lovely white fat quarter of fabric. So cute- Thank you Terri! Karen at Laughter in Quilts had some gorgeous embellished tea towels on her blog a while ago, and was kind enough to offer to send me some plain tea towels so I could create my own. Look at this pile of gorgeousness! I'm going to have so much fun making these look all pretty. And Cardygirl - who should seriously give up her day job to go into stand up comedy- very quietly and pointedly sent me this ...which had me in fits of laughter every time I saw it for about three days afterwards. Looks like I have my ginger bread house covered for this year. And I think I can put this together using superglue without the sides melting. Just have to be careful not to add too many rhinestones and crystals to it so it doesn't implode from the weight. You are having an awesome holiday with a bit of shopping, bit of sewing , bit of cooking and a ton of strawberries!!! It's good you've been at home to get all that fabulous mail. Ginger bread houses just make me laugh now. Mm, strawberries... Looks like your holidays have gone really well. Love the postage stamp blocks. I might try doing some orange peel blocks for an upcoming project. Any advice or tutes you recommend? ohhhhh fresh strawberries ... almost as divine as the scrappy blocks! My, who has been a busy girl? Lots of loveliness...can't wait to see how you jazz up the house...Swarovski crystals, internal lighting and Lilliputian figures perhaps? Glad that you like it! You have you a good man there....:) Where did you get that daybed? It's so cute. Also love the redo on the chair. Bwahaha! On the gingerbread house. You are set for life now. Sounds like a busy but satisfying time. Enjoy these holidays! Wow, a (almost foolproof) gingerbread house......what a thoughtful gift! Love that daybed too, how very genteel - how about a nice quilt for it? Nice work on the chair, it looks amazing! Mmmm those strawberries look lovely! So glad we're getting some cooler weather this week. You are a multi-talented girl! When do you sleep? LOL love the calorie free gingerbread house! Cardy girl to the rescue, what a great pressie! Loving the progress you have made while on holidays, including jam making wow! Glad the bunting went well, what a great idea of the wedding. Still desperately scrambling around trying to find a hand project, I am so out of practise! Love the new day bed bet you get use out of that on your PJ Days! Love Cardygirl Always Thinking of Others can't wait too see that put together!!! Looks like you're getting things done on your time off. Delicious strawberries and fudge - perfect vacation snacks. Mammoth is the only way to describe your achievements..... and not even bowed down by the amazing heat !!! I take my hat off to you ! I'm not showing squid those strawberries I have to put a padlock on the fridge when I buy strawberries if I want them for something special. 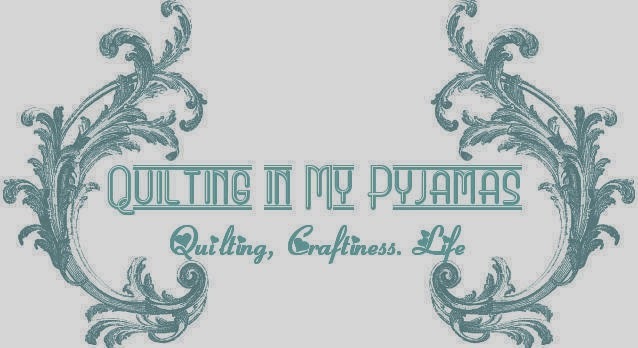 Loving your new blog look, with the lovely cool colours as a respite from this hot summer. As usual you are on fire girl. Looks like you are making the most of your summer hols. Love the new blog decor. You must be in "redo" mode these days. Your "new" chairs looks great. You have way more energy than I do. Strawberries and fudge! This post is filled with so many fantastic things!! That chair redo must be my favourite, though, love it! Hahaha that is cool. A foam gingerbread house for you! I love the reupholstered chair. Nice job. Is your day bed from ikea? I like the idea. Jealous of your fudge (the one in your tummy), looks delicious! Maybe I'd better go eat lunch!